A new item in the Laser Mego store! Onomatopoeias (action sounds) acrylic displays are now available in the store. 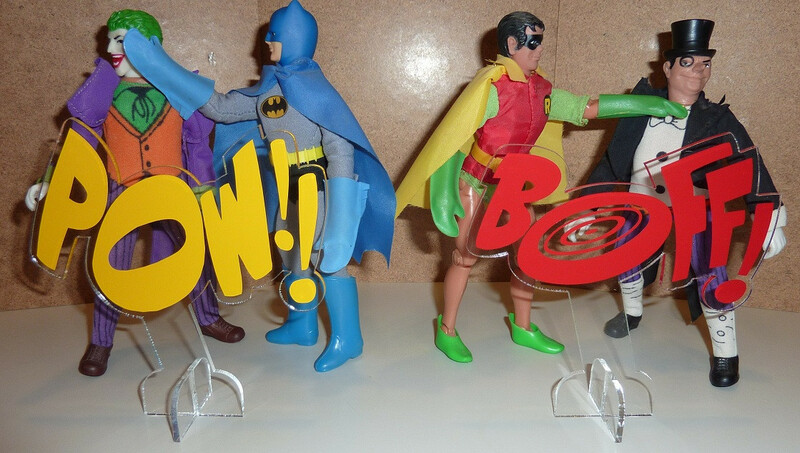 These colorful words add dynamic action to any action figure display. More choices coming soon -- let us know what you'd like to see next.